Power consumption: 40 mA minimum 8,5V PLEASE NOTE: it is very advisable to use a external regulated power supply. 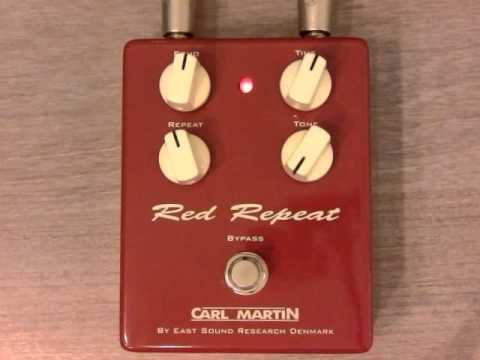 Based on the infamous Carl Martin Delayla, the ‘Red Repeat’ provides an affordable 600 milliseconds of delay as well as a simply controlled echo. Add just a touch of delay to thicken your sound, or push the repeat circuit past 12o’clock where the unit begins to self-oscillate, just like an old analog delay. Great vintage style and colour in a heavy diecast, 9 volt pedal with heavy duty bypass switching.